Home / Blog / Sikorski Sausages at the Walk So Kids Can Talk! This past weekend, we were honoured to take part in the Walk So Kids Can Talk. This charity is sponsored by BMO in support of the Kids Help Phone – a charitable organization that works to provide kids all across Canada with an anonymous source of counseling and support that they can turn to when they need to be heard. 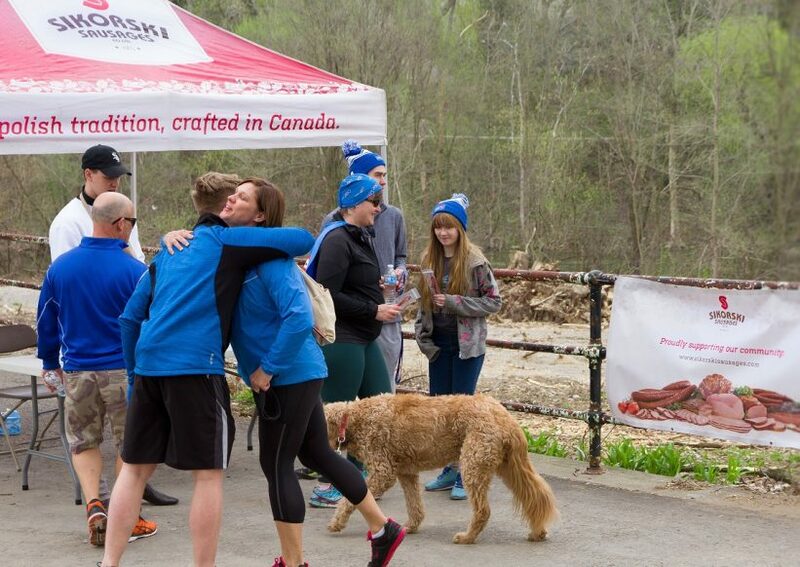 Thousands of kids and adults alike gathered at Thames Park in London, Ontario for a fun and friendly 5-km walk (just one of dozens taking place all across Canada). It was a beautiful day and a great experience to share with all of our friends and fans in the London Area. Sikorski Sausages was on hand with our tent, passing out our Sikorski Petites to all of the London attendees and lending our support to this worthy cause. It was great to meet so many wonderful people and get to do our part to put smiles on their faces. Thanks to all of the people who came out for this event and to everyone else who pledged their support!